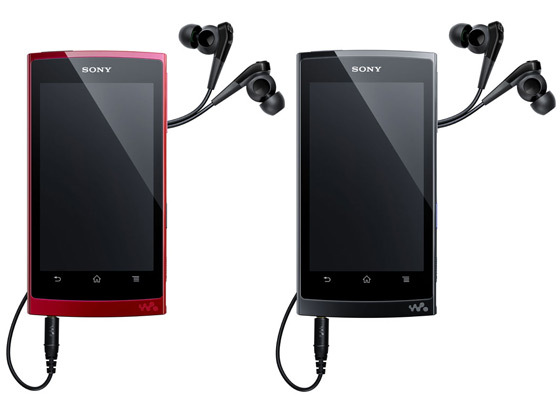 Sony wants the Walkman brand to make a comeback and will aim to make that happen with Android at the helm. While this isn’t the first time we’ve seen and heard of the device (Sony Ericsson made quick mention of it at IFA in Berlin earlier this month) it is the first time we’ve gotten concrete details and pricing/availability information. We’re apparently getting three different configurations with 16GB, 32GB and 64GB for 28,000 yen, 33,000 yen and 43,000 yen, respectively. It’s a 4.3 inch WVGA device with a 1GHz dual-core Tegra 2 processor, Android 2.3, microHDMI, WiFi, Bluetooth, DLNA and an FM Radio alongside Sony Ericsson’s smattering of music apps to make this an ultimate multimedia device. The folks of Telefonino.net were lucky enough to have some quality hands on time with the Samsung Galaxy Tab 7.7, a device that was introduced at IFA 2011 in Berlin. This model is shown in action in the video below and we have to mention that this is yet another controversial Samsung piece of gear, that was removed from the IFA Samsung booth, because of the product ban in Germany. We remind you that this is a 7.7 inch Super AMOLED display tablet, with a very thin case that’s a mere 7.89mm thick. The device weighs 335 grams, runs Android 3.0 Honeycomb and comes with A-GPS, data connectivity (HSPA+), a microSD card slot, WiFi, Bluetooth and a 1280 x 800 pixel resolution. 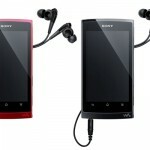 Its camera is 3MP in resolution, comes with a LED flash, autofocus and 720p HD video capture. At the inside we find a dual core 1.4GHz CPU, 1GB of RAM and a Mali 400 MP GPU, providing a great graphics experience. The battery inside is a 5100 mAh unit, that should provide enough functioning time to compete with the iPad 2 (8, 9 maybe 10 hours). Good to see that they’ve finally implemented ports, unlike the Galaxy Tab 10.1, that lacked the majority of them. 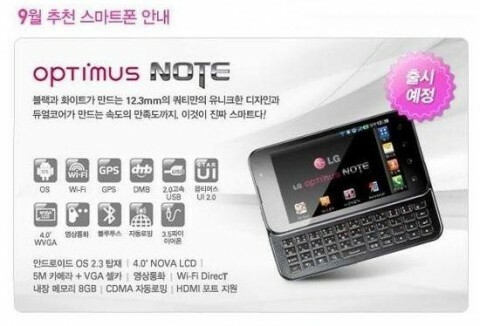 Not to be confused with the Samsung Galaxy Note that was introduced at IFA last week, the LG Optimus Note made a surprise visit to Mr. Blurrycam today showing off its alluring physical QWERTY keyboard and 4-inch NOVA LCD display. Also accompanying the fuzzy pic is a leaked press shot for the device to make everything that much more official. Apparently, this device will feature a 1.2GHz dual-core Tegra 2 processor, Android 2.3 Gingerbread, 5MP rear facing/1.3MP front facing cameras with LED flash and 8GB of internal storage. 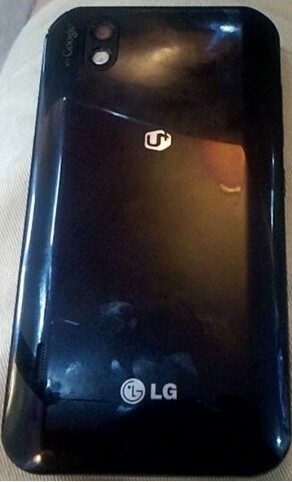 Let’s hope this is the very same LG Optimus Slider that we’ve been hearing about supposedly making its way to Sprint. What do you guys think? IFA 2011 was truly a tablet-oriented event and even the famous carrier Vodafone didn’t stay away from this direction. Thus, it doesn’t surprise me that Vodafone Germany unveiled two new tablets with its own branding: Smart Tab 10 and Smart Tab 10. Both run Android 3.2 using a 1.2GHz dual core CPU. Also, both model support 1280 x 800 pixel resolution and they’ll be available in 16 and 32 GB versions. As far as launch goes, we’ll see this slates debuting n November, at least locally and maybe weeks later internationally. These models shown at IFA are most likely made by a company such as Huawei or ZTE, that usually partner up with Vodafone and provide bare devices to get the carrier’s branding. As you might have guessed, the Vodafone Smart Tab 7 comes with a 7 inch display, while the Smart Tab 10 uses a 10 inch display and it’s pictured above. They also get 1GB of RAM, a microSD card slot and support for HSDPA connectivity of up to 14.4 mbps (download). 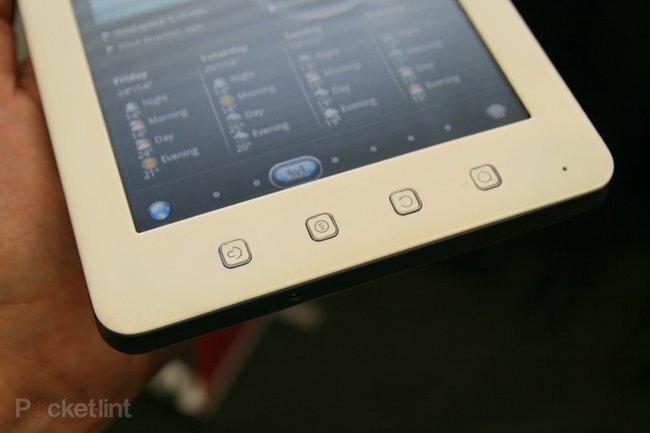 Vodafone Smart Tab 7 weighs 391 grams, measures 11.4mm in thickness and is pretty compact. As far as camera go, both slates come with main 5MP cameras and front 2MP cameras. No trace of price yet. 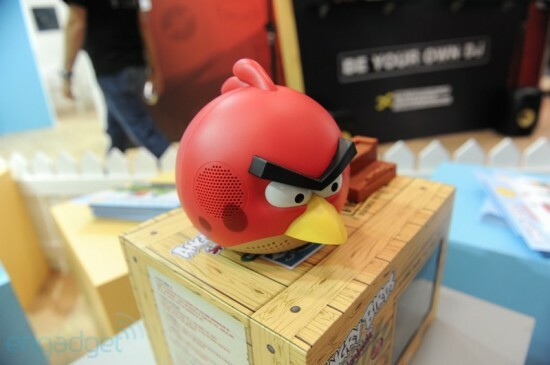 Looks like the Angry Birds craze isn’t about to let up anytime soon if this new merchandise is any indication. 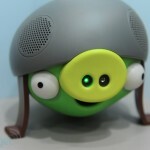 Adding to the Angry Birds phenomena are these adorable speakers shown off at IFA this year. 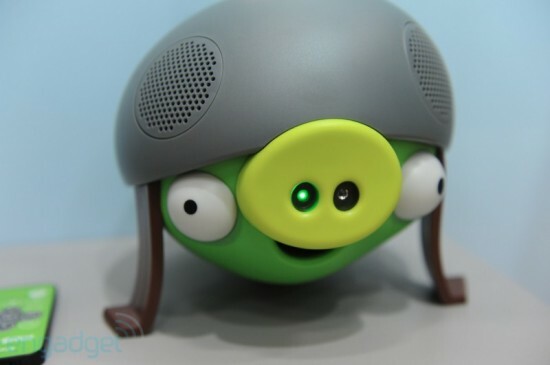 I’ll admit, I’m not an Angry Birds junkie but even then, it’s hard to deny the appeal of these cute stereo critters from Gear4. The stereo speakers come in a variety of shapes and sizes, allowing you to pick your favorite fowl and plug-in using the inluded 3.5mm headphone jack. They even come with an included remote for adjusting volume from a distance and offer docking options for your iPod device. These guys are set to soar through Europe and the US in the coming weeks and should retail for around €69. HannSpree is a brand we usually associated with cheap gizmos, but this time they brought their best to Berlin, participating in the IFA 2011 conference. Among the devices shown there was the HansPad SN10T4 slate with Honeycomb, that you can watch in action below. The only difference between this Honeycomb models and others is the TI OMAP 4430 processor, that replaces the usual Tegra 2 CPU present on most slates nowadays. The HansPad processor is the same one you’ll find on the BlackBerry PlayBook, in the dual core and 1 GHz flavor. As far as the design goes, the HannSpree tablet adopts the glossy plastic finish and it’s quite a bulky slate. The war between Apple and Samsung has reached a new level, with the South Korean company being forced to pull its fresh product, the Galaxy tab 7.7 from its IFA 2011 stand. We remind you that there’s an ongoing case in Germany regarding Apple’s intellectual property that was apparently breached by Samsung by “copying the iPad and iPhone”. While the ban on the rest of Europe has been lifted, Samsung Galaxy tablets and phones remain a problem in Germany and even the newcomer Galaxy Tab 7.7 suffers from this. 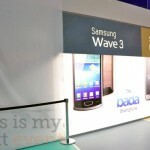 FOSS Patents is claiming that Samsung pulled the Android device from the IFA show floor and German website this weekend. The decision came after the Düsseldorf Regional Court instructed them to do so. This is the same authority that banned the sales of the Galaxy Tab 10.1 a month ago. Last we heard, the 7.7 inch tablet was spotted with a sticker that said “Not for sale in Germany”, but it seems this wasn’t enough. The result was the injunction we’re writing about here, one that limits consumer choice in Germany, as Samsung spokesman James Chung told Bloomberg. We know a German court’s decision to ban the Galaxy Tab 10.1 in parts of Europe effects the sale of Samsung devices, but would you believe it could also cause the company to pull the new Galaxy Tab 7.7 from its display at IFA, where it was formally unveiled. That is exactly what happened, though Samsung says it made the move voluntarily out of respect for the ruling handed down by a the District Court in Dusseldorf on September 2nd. While we assume Samsung still has plans for the new tablet, which looked mighty fine with its large Super AMOLED Plus display, current legal battles are making it difficult to know for sure when we might see its release. We knew that ViewSonic was going to pull the covers off another 7-inch tablet at IFA 2011 and that it was going to be a budget device. Markedly different from their slick ViewPad 7x, the 7e is fairly chunky, features a resistive display and runs Gingerbread, or Android 2.3.1 on the device we handled.? ViewSonic’s philosophy seems to be to offer devices in two tiers - premium Honeycomb and budget Gingerbread. Indeed, budget it is, expected to hit the shelves we were told for as little as ?129. To sweeten the deal, this isn’t just arriving as a stock Android device: you’ll get some core apps installed, including the likes of Angry Birds and the Kindle app, but you’ll also get the ViewScene 3D user interface that offers up a neat skin based on SPB Shell 3D. On the device we played with there was, however, no sign of Android Market, or the run of core Android apps that come along with Google Certified devices. 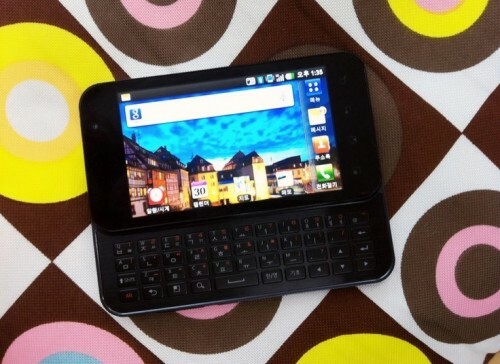 As such, we’d expect the experience of the 7e to be similar to many of the budget devices we’ve seen previously. The move to 7 inches notionally makes it more pocketable, but the 7e isn’t the skinniest tablet we’ve seen, so it won’t just slip into your pocket like its more expensive brother the 7x. In our quick play we found the display was responsive enough to our exploratory pokes, but it does lack the premium feel in the hand that you’ll find elsewhere. Like many of these devices, without the complete run of Google apps, you’re left to either hack them on, or accept that it’s better suited as an affordable media player with the benefit of being able to add a run of different apps from third-party app stores. It should be landing in time for Christmas. 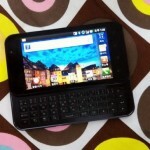 The legal dispute between Samsung and Apple has taken another interesting twist, resulting in the newly-announced Galaxy Tab 7.7 being removed from IFA following a second injunction from a Dusseldorf court on 2 September.? The court ruling bans Samsung from sales and marketing of the new tablet, hence Samsung’s action. 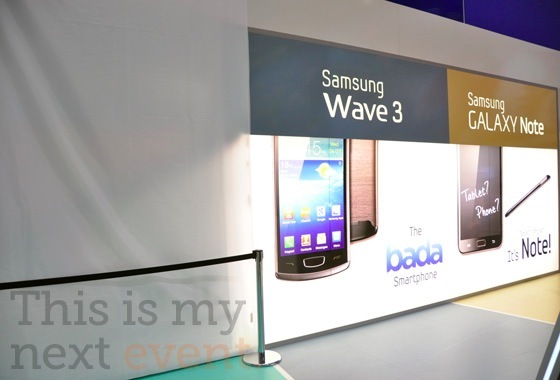 We’d speculated in the run up to IFA whether Samsung would be able to display their entire portfolio. Prior to IFA, Florian Mueller, whose Foss Patents Blog has extensive coverage of the ongoing spat, told Pocket-lint via email that: "They won't be able to show the Galaxy Tab 10.1 as long as the preliminary injunction in Germany is in force, and since the court has scheduled the announcement of its decision for September 9, it's virtually certain that the injunction will be in force during IFA." Stickers reading "This Product is currently not available in Germany” on the Samsung exhibit seemed to be a precautionary measure, but to no avail once the show had opened to the public and a second injunction on the 7.7 landed. Fortunately, Samsung was able to launch the new device, so it has been previewed widely in the tech press - including our own coverage which you can read here - but visitors will leave disappointed not to have seen what is arguably one of the highlights of the show. "Samsung respects the court’s decision", James Chung of Samsung told Bloomberg, before making it clear that Samsung would "pursue all available options" to defend themselves. We get the feeling this isn't going to be over any time soon. Intellectual property matters aside, there is no doubting that the Samsung Galaxy Tab 7.7 is a stunning device. It will be a real shame if this legal dispute restricts customer choice in this fiercely competitive area.